Below is the story of a single mother and her daughter. Names and certain identifying details have been changed to protect their identities. They were already back inside on a Thursday evening in mid-July when Olympia got a call from her babysitter. Her father was sick. She had to travel back to the Caribbean tomorrow. Olympia would have to find somewhere else to drop-off Raina. What was a functional, if imperfect, solution to childcare during the summer was now no more. The tears came fast, but they didn’t stop Olympia from making calls. Missing work wasn’t an option. Not the following day, and certainly not the next week. During the beginning of this year Olympia was unemployed. Following an eight-year long stint with a family in Brooklyn Heights that ended in August 2013, she could only find a cooking and cleaning job that didn’t end well. During her year with that employer, the couple separated and the ensuing acrimony began to be directed at her. She left the job in December and by the time she found another job in March she had fallen two months behind in rent. In order to help her pay back the nearly $4,000 to her landlord, she rented out Raina’s room to a single mother with an infant. She had just begun to pay this debt off when summer arrived and brought along more costs. Raina’s childcare jumped from $100 to $160 a week after school ended, and she would no longer have access to the two free meals a day given to low-income children in public schools. During the summer the city continues to offer these meals, but they require caretakers to go and pick them up on a daily basis. This wasn’t an option for Olympia or her babysitter. Olympia had some luck. Her friend from back home in the Grenadines could take Raina for the day. She was a nanny too, but the family she worked for was away on vacation. Olympia would have to wake up extra early the following day — her alarm clock normally goes off at 5:30 or 6 — but she didn’t mind. She was grateful to have a few more days to figure out what to do with her daughter. Raina’s father was not an option. Olympia first met him as a teenager, but they didn’t couple up until after she came to New York in the late 1990s and he came a few years later. Olympia was never sure about him; the cheating and lying started early, the physical abuse, a little later. When she got pregnant with Raina at age 32 she was considering getting an abortion but he and his mom talked her out of it. He promised to change, and his mom promised to help. They assured her that she would not be doing this alone. She believed them. He didn’t change, and before Raina turned 1, Olympia decided to leave him. Late Friday night she called her sister, who lives with her family in a suburb outside of Boston. The idea that she should take Raina up there hadn’t yet occurred to her, but once her sister mentioned it she quickly agreed. The next morning they left on an early bus to Boston and by Sunday evening Olympia was back in her apartment, without her daughter. The plan was for Raina to remain there for the rest of the summer. “I miss her so much, but I am also, I hate to say this and I feel so guilty, I am relieved.” No more paying for a babysitter. The total cost of childcare was now the price of the bus fare and the $200 that she insisted on wiring to her sister for food. No more worrying whether Raina was adequately stimulated during the day. No more having to conceal her deep exhaustion from her daughter every evening, wishing she felt otherwise. 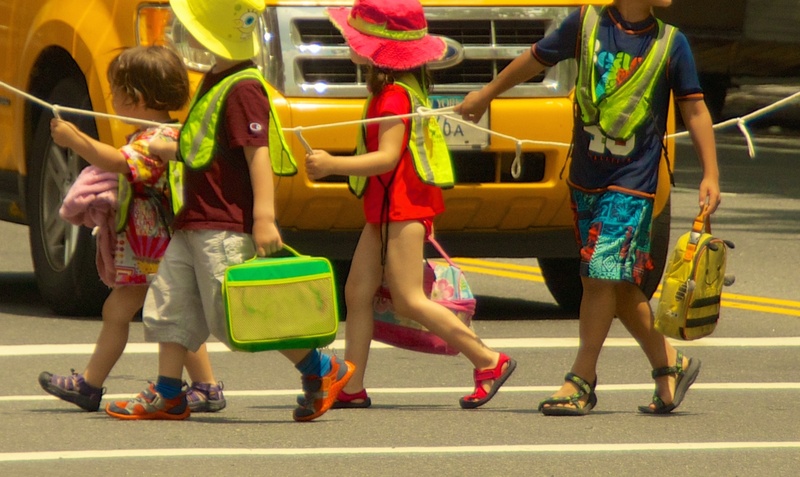 New York City Schools have a 10-week summer break during which many families turn to summer camps to help fill all the time off. (This is much longer than the around six-week break in some European countries including Germany, the U.K. and the Netherlands and roughly one month in Japan.) But with day camp costing, on average, $271 a week and sleepaway camp costing $704 a week, it’s hardly a one-size-fits-all solution. In a city where one in three children live in poverty (the rate is one-in-five nationwide), going to camp is, for many children, just another luxury their parents can’t afford. The YMCA close to where Olympia works charges $515 for a two-week session for members ($615 for non-members) for children Raina’s age. If Olympia didn’t manage to get one of the scholarships they offer, this would cost her nearly double what she is paying now per week — and it only covers from 8 a.m. to 4 p.m. According to the American Camp Association, 70% of campers in their network come from middle and upper income households. They say that the majority of camps offer scholarships or reduced camp fees to those in need, but they are still a long ways away from making sure every child has somewhere to go during the summer, regardless of their family’s financial status. He said the ACA is putting their efforts into seeking out private donors who can subsidize camp for a large number of campers, though he also sees potential in a number of other models, including partnerships between schools and camps and city parks and recreation departments hosting camps of their own. In New York, the city supports summer programming for over 100,000 5- to 13-year-olds, only some of which includes all-day programming at centers in high-need neighborhoods and housing projects. There is also a summer youth employment program that has arranged jobs for over 50,000 teens and young adults this year. 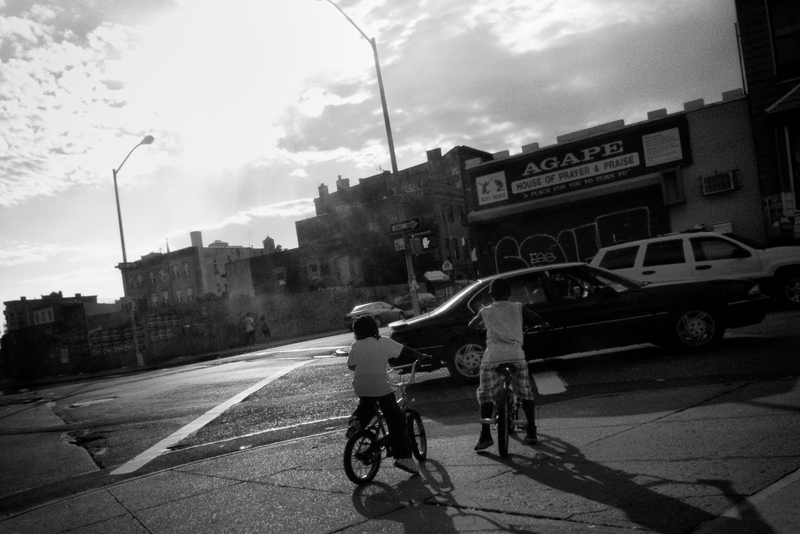 According to recent census and other community surveys, there are roughly more than 1.8 million New York residents under the age of 18, more than 500,000 of whom live below the poverty line. Mayor Bill de Blasio has made some efforts to expand the summer programming for these children. In 2014 he extended the number of hours some community centers are open and restored funding for summer programs held at elementary schools. But it hasn’t been all growth. Just this year the city axed more than $20 million in grants that had already been awarded to dozens of community organizations who run summer programs for thousands of middle school students. After protests, the city reversed course and reinstated the funding, but said it was for this year only. “Entry to all of these summer programs is competitive,” said Susan Haskell, Deputy Commissioner of Youth Services at the New York City Department of Youth and Community Development. Nevertheless, the need for more high-quality summer programming is not going to slow down. The rise of dual-earner households with parents working long, and often unpredictable, hours, along with the growing number of single mothers, makes summer, at best, a sticky logistical issue, and, at worst, another way for low-income children to fall behind. 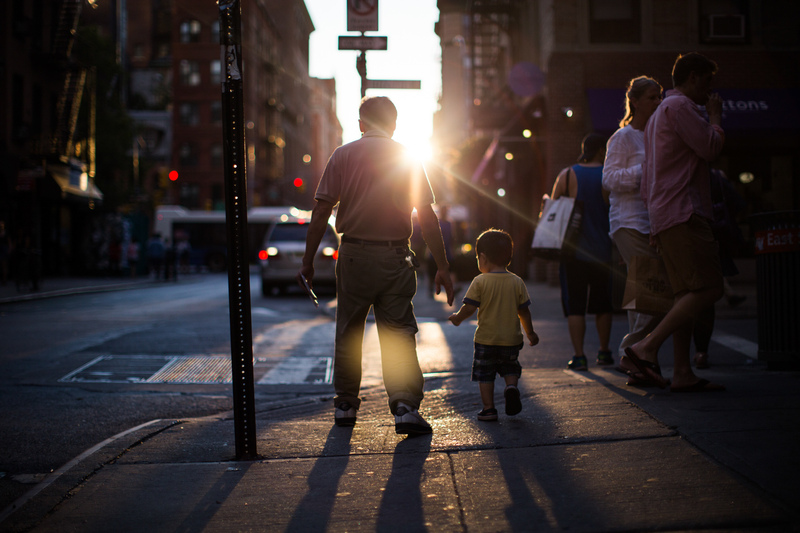 What economists call “intergenerational income mobility,” or the likelihood of poor children moving up the economic ladder through hard work, is much lower in America than it is in other wealthy countries. And rising income inequality has only made this ladder linking the rich and the poor that much longer and harder to climb. The three-month summer break further stacks the odds against those beginning at the bottom. Summer: at best, a sticky logistical issue, and, at worst, another way for low-income children to fall behind. It was three weeks into a mild New York summer and they had already settled into their routine. Raina, a bubbly little girl with neat cornrow braids, would be woken up by her mother around 6:30 and eat some breakfast. She likes eggs, sausage, maybe some fruit. Then they would get dressed and walk the two blocks to her babysitter’s apartment. The place was tidy and safe — better than that of Raina’s previous babysitter, who used to allow her friends to smoke around the children. This apartment wasn’t particularly spacious, but there was enough room for Raina to sit and focus on the Kumon math workbooks, vocabulary cards and activity sheets that her mom had packed for her. There were a few picture books and a tablet computer in her bag too, alongside her lunch, dinner and snacks, but Raina knew she wasn’t allowed to get to those until she completed her work. “Count all the stairs going up and down to the apartment. Now add them up,” read one problem for Raina to solve on an activity sheet handwritten by her mom. Raina, an enthusiastic learner, never complained about having to do these. Afternoons were filled up with games, videos and stories, a few snacks and an early dinner. Sometimes they would get to play near the stoop in the evenings, but it wasn’t until her mom came to get her around 7:15-7:30 that she got to explore outside. Most evenings they would climb the four flights up to their apartment, grab Raina’s scooter, and then head back down to the street. Raina would take off, moving quickly down the street, her mom chasing behind her. Weekends were exciting. Her mom would watch the Channel 12 news to find out about local free happenings for children. If nothing special was going on they’d head to the zoo, beach or have a picnic in nearby Prospect Park. There was usually church on Sunday mornings. If they were feeling lazy they would make some food and bring it up to the roof. At night, it’s a lot of dancing and singing around the house. Raina is one of Frozen’s many devoted fans. When Raina moved to Boston in the middle of July, she adjusted quickly to life there. It was hard to say goodbye to her mom; the two had never slept away from one another before. But the weepy calls faded by the end of the first week, now replaced by expressions of enthusiasm and joy about life at her aunt and uncle’s house. There she has four cousins to play with—the youngest who are 6 and 7—and a backyard and nearby parks to do the playing in. Her aunt, a kindergarten teacher, has all summer off. Raina speaks to her mom often, about six times a day, filling her in on the games she’s been playing and pictures she’s been drawing. She is really into drawing right now. Her mom probably won’t be able to visit before the summer’s end. The four-hour bus trip is a long one, and the $50 for a round-trip ticket isn’t really something she can afford right now. Then there’s the emotional cost, which Olympia said would break her. “Our current school schedule has a negative impact on all kids, but it’s most devastating to the economically disadvantaged,” said Dr. David Hornak, Executive Director for the National Association of Year-Round Education, an organization advocating for shorter summer breaks. He’s talking about the phenomenon known as summer learning loss, which experts say is one of the leading causes of the achievement gap between high-income and low-income children in the United States. Students whose parents don’t have the means to continue educating their children through the summer, whether through camp, one-on-one time or summer learning programs, often return to school about one month behind in learning from where they left off the previous spring. This loss is cumulative, and can result in low-income students being nearly a year behind by the time they complete their public school education. And that’s if they complete it at all: One study of 300 Baltimore students showed a link between the presence of summer learning loss and dropping out of school. Those with no summer learning loss were more likely to take college preparatory classes. Studies have also shown health disadvantages to the summer break for low-income families. Children gain weight two to three times as fast during the summer as they do during the school year, which is in part attributed to limited physical movement and an absence of free nutritional meals. Researchers have found African Americans and Hispanics are particularly at risk. Many assume the tradition of a long summer break is a relic of our agricultural past, but the history is not that simple. Back in the early- to mid-19th century, both urban and rural schools were in session during the summer. Farm kids got spring off to plant, and autumn off to harvest, which meant learning had to happen during the winter and summer. City kids had to study year around. Then, beginning around 1870, school reformers began to argue that too much school was bad for the brain and wanted to make the break standard across the quickly urbanizing country. Summer was a no-brainer. Classrooms were hot during the months of June, July and August, and wealthy families wanted to vacation to escape the heat. It is also gave educators a chance to catch up immigrant children on English. Over a hundred years later, and the long summer break is so deeply enmeshed in the rhythms of American life that many resist reforming it, even with the knowledge that it is hurting students. Hornack says educators have been advocating for a year-round schedule for more than 50 years now, but a lack of air-conditioning in schools and a cultural attachment to the summer break has made this revolution a slow-moving one. (There have also been attempts to use a staggered year-round school schedule — known as a “multi-track calendar” — in order to accommodate more students at over-crowded schools, which many found frustrating.) The “balanced calendar” offered up by the National Association of Year-Round Education keeps the school year at 180 days, and the same 180 days, for all students, but spreads the breaks throughout the year. Summer would be reduced to six weeks, with three other two-week breaks in fall, winter and spring. This formula has been proven to significantly minimize learning loss. “It’s better for the students and it makes it a lot easier for families to budget for childcare when you are talking about a short break rather than three months. Grandma and grandpa are more likely say yes to a couple of weeks,” Hornack said. Many assume the tradition of a long summer break is a relic of our agricultural past, but the history is not that simple. For her own job, Olympia cares for a Brooklyn family with a 5-year-old and 1-and-a-half-year-old. Both parents work in finance, and they have the means to hire a full-time caregiver to feed, clothe, and otherwise attend to their children. Olympia arrives every morning at 8:30 to what is, more often than not, a hectic scene. She takes the children from their parents and gives them breakfast, brushes their teeth, gets them dressed and then packs up for the busy day ahead. There’s not much room for improvisation in their summer schedule. For the first half of the summer she was taking them on a thirty-minute subway ride to another part of Brooklyn five days a week for the older child’s soccer camp. After dropping him off, Olympia would head to a nearby playground with the younger one where they’d play and eat lunch. A few hours later they would pick up the 5-year-old and rush off again, this time to another part of Brooklyn for music lessons. Once the soccer camp ended, a different camp began. Afternoons could be filled with playdates and classes at nearby outlets like New York Kids’ Club, a self-described “child enrichment center” similar to Gymboree, with locations in upscale neighborhoods around the city. Classes here can cost upwards of $48 for three-quarters of an hour. The total cost for a day’s worth of some of these activities is often more than the $150 Olympia makes for her ten hours of work in the same time period. The few hours they spend at home offer little reprieve. There’s a list of books to be read and requests from the children’s parents for photos and reports on everything from bowel movements to how karate class went. At the end of the day Olympia makes sure to clear her memory card on her phone so there is room for the photos she’s receiving of her own daughter. When the rare unstructured moment arises, Olympia likes to take the children to the park where she encourages them to run around and occasionally treats them to an Italian ice. When thinking about her own summers as a girl in the Grenadines she remembers how great it was to feel free and adventurous and wants the same for these kids. Once the soccer camp ended, a different camp began. The American tradition of long summers spent outside at camp is a product of the Gilded Age. In the Victorian era, shortly after the long summer break became standard, wealthy families began to worry about their sons who were, as they saw it, spending far too much time in the overly feminine domestic space. Their masculinity was at risk. “Summer was considered a problem for boys. They needed to be outside, in the company of other men. Camp was an antidote to home,” said Abigail A. Van Slyck, Dean of the Faculty and Dayton Professor of Art History at Connecticut College and author of A Manufactured Wilderness: Summer Camps and the Shaping of American Youth, 1890–1960. The earliest camps were a romantic attempt to help wealthy teenage boys temporarily shed all the refinement of their city life and connect with nature, Slyck says. These campsites were anything but elegant. The housing was rustic, food unrefined and much of the time the labor was done by the campers themselves. All the better for letting these budding men connect with their wild side. The summer camp movement gained momentum over the next few decades spreading first to wealthy girls and then to immigrant children along with those from a more diverse socioeconomic background. By the middle of the 20th century, camps had become a more inclusive tradition, and, as such, a rite of passage for middle class families. But today we are in the middle of another shift in camping. The democratizing, unstructured atmosphere of the late 20th century camp is being increasingly replaced by the carefully structured speciality camp. Whereas boomer parents sent their kids to camp to hang out outside and maybe learn a few things that had no practical use in their regular life (this was the point), today’s more competitive parents see camp as another chance to get ahead. If things continue in this direction camp will return to the role it played in the Gilded Age: another way for the haves to grow and another chance for the have-nots to fall behind. The fall doesn’t offer much in the way of relief to Olympia. In early August her employers told her they would be relocating to the suburbs in the fall and, unless she was willing to make the long daily commute, they would no longer need her. The stress caused by this news is hard to ignore, and Olympia says she would probably be completely overwhelmed by it if it weren’t for the occasional rush of joy she experiences when thinking about her daughter’s return. On Labor Day, Olympia will head back up to Boston to pick up her Raina, giving them a little over a week together before first grade begins on September 8th. Then, there will be friends for Raina to play with, teachers for her to learn from, and food for her to eat. Olympia’s immediate future may not be secure, but at least her daughter’s will be when this long, hard summer finally comes to an end. Elissa Strauss is a journalist and essayist based in New York City. Follow her on Twitter or Facebook.